Five years ago on March 18, Russia announced the accession of Crimea based on a referendum that had taken place on the peninsula. Since then, Russian state-controlled media have spoken of the enormous success of the new Russian Crimea. They showed the construction of an extremely expensive bridge linking Russia and Crimea in great detail. But how has Crimea changed since Russia annexed it in reality? This is a very difficult question to answer. We know that while the average income in Crimea is lower than that in Russia, prices for some goods and services on the peninsula are similar to those in Moscow. Pensioners in Crimea live on a pension of 12,000 roubles (around €164) per month. Euronews correspondent Galina Polonskaya asked some Crimeans how they felt when she visited the area several months ago. Many said that they were happy, even if they had not become richer, as they had hoped. Others accused the local authorities of corruption, while a taxi driver told her that some people were frustrated not to be able to go abroad easily. “Crimea is ours” is the mantra that many in Russia support. Even those who have never visited the peninsula are convinced that life in the area has seriously improved. The vast majority of Russians, according to opinion polls, think that Russian President Vladimir Putin made the right decision five years ago, but the number of those who think that the annexation is "useful" for Russia has seriously decreased since 2015. 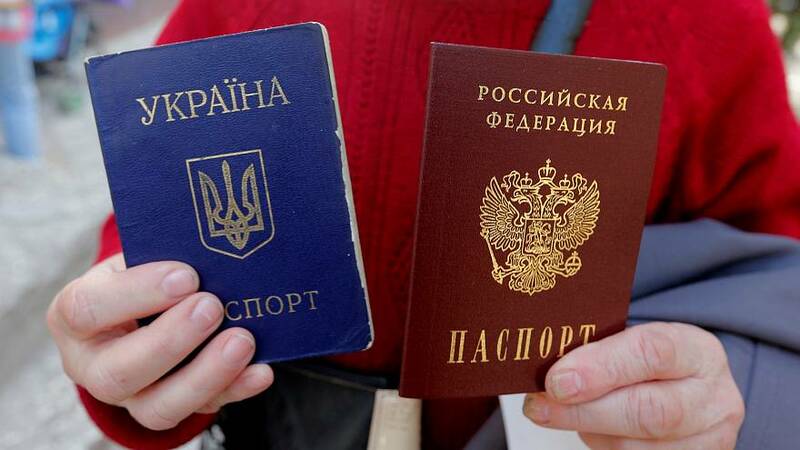 In the thumbnail for this article, a woman poses with a Ukrainian (L) and a Russian passport outside an office of the Russian Federal Migration Service, where she received a Russian passport, in the Crimean city of Simferopol April 7, 2014.